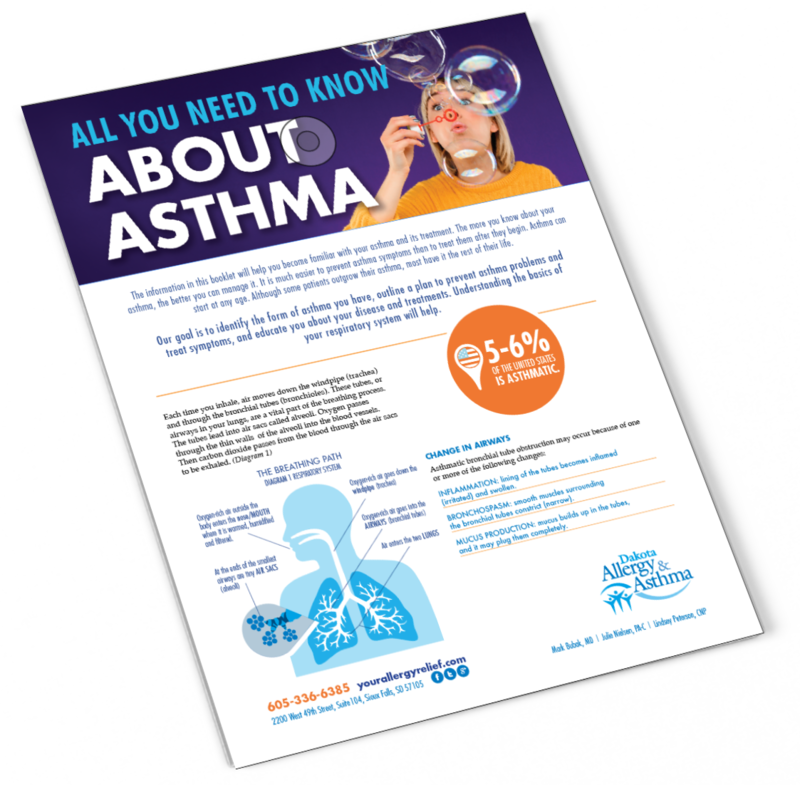 Download “Everything You Need to Know About Asthma” Now! Did you know that 5-6% of the United States suffers from asthma? Perhaps you were recently diagnosed or been suffering for awhile and wanting to better understand your asthma. By downloading, "Everything You Need to Know About Asthma," you will become more familiar with your asthma and its treatment because the more you know, the better you can manage it. People with well-controlled asthma can exercise, sleep well, and work or play without symptoms of asthma or serious side effects from their medications. If your asthma is not controlled, discuss this with your allergist. With the help of medical treatments and preventative measures, most people with asthma are able to lead active and fulfilling lives.